• Auto discharge function; any charge stored in the circuit under test will be automatically discharged after testing. • Color-coded scales for easy reading. • Back light function to facilitate working at dimly illuminated locations. 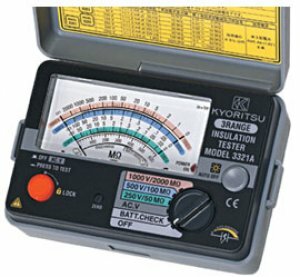 • Test lead set with remote control switch. • Shoulder strap for hands free.